Comfort, durability and protection unite in the 11" Edge Walker Waterproof Nano Comp Toe Wedge Pull-On boot. 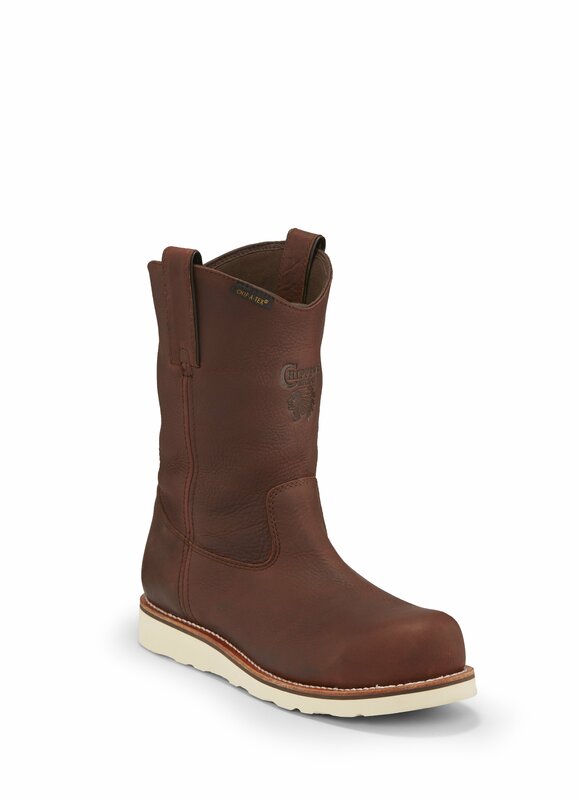 This boot features Chip-A-Tex® waterproof construction, an Ortholite® removable insole and Vibram® Christie Wedge outsole and a round comp toe. Inside, the Dri-Lex® Chocolate 2000 lining helps to move perspiration from your foot's surface, providing a comfortable environment for your feet.